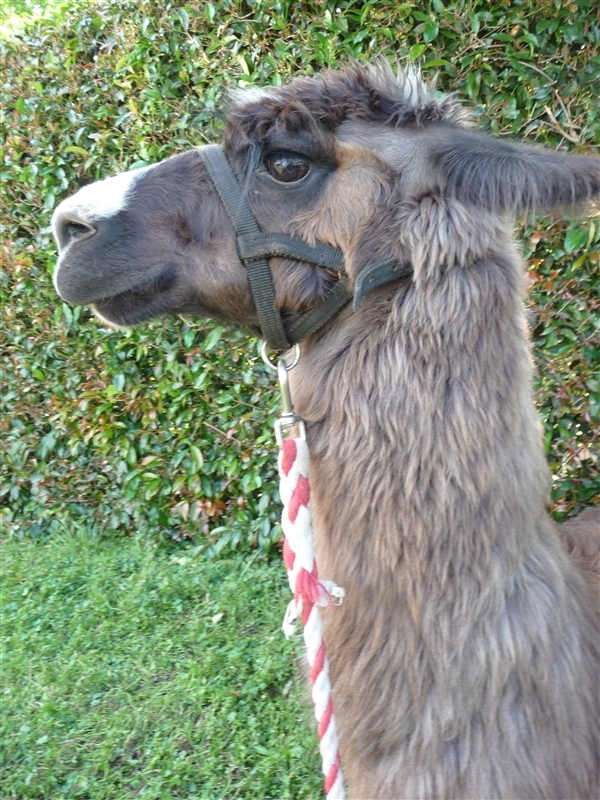 Over 10 years ago I got to pat a llama at a local show/fair and fell in love with the animal. They are the most loyal, affectionate and loving animal I have ever known. My love of llama’s have grown over the years and it is my dream to have a house with a little bit of land so that I can own a few llamas. 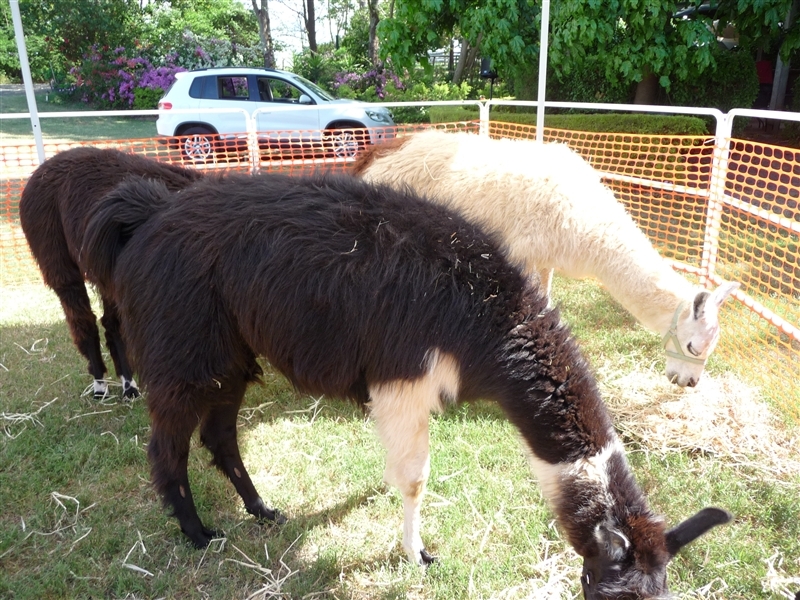 Today I went to a Llama Open Day at a local winery and fell in love all over again. Doesn’t he have the cutest red holter. 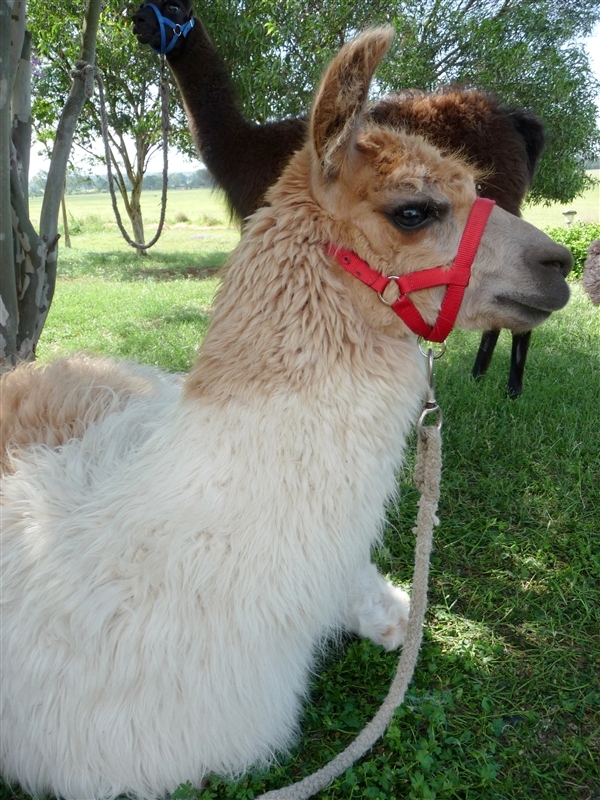 Llamas have these huge brown eyes that love to look at you. These boys are owned by Ross from Dayborough Llamas. 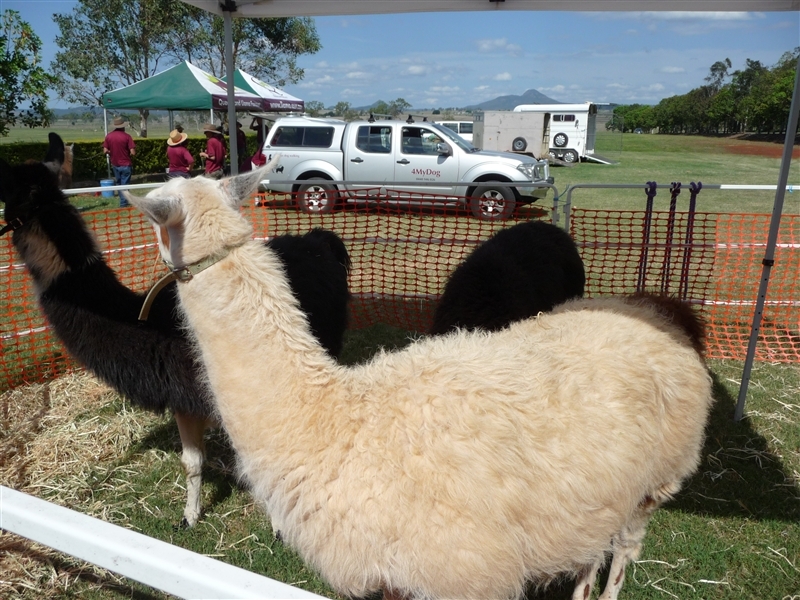 Ross and I chatted for ages about how he and his wife sold their cattle farm and moved closer to Brisbane and went to the local show and fell inlove with a llama. Ross and I chatted about caring for llamas, organic vegies and how the llamas have turned their whole world into a more healthy, sustainable life. 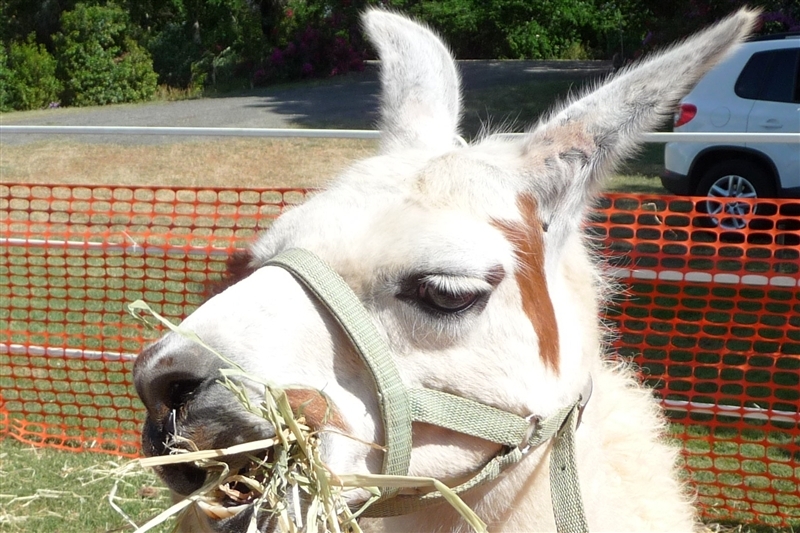 The whole time the llamas kept coming over and brushing their nose up against Ross’s nose, looking him in the eyes as he chatted softly about his love for these gentle creatures. Was a brilliant day and I can’t wait to catch with with Ross and his wife (sorry I have forgotten your name again) and get to know their llamas better. Next time hopefully I wont have to drive through a grass fire. Not surprising considering how hot and dry the weather is at the moment. One cigarette thrown out the window cased this fire. 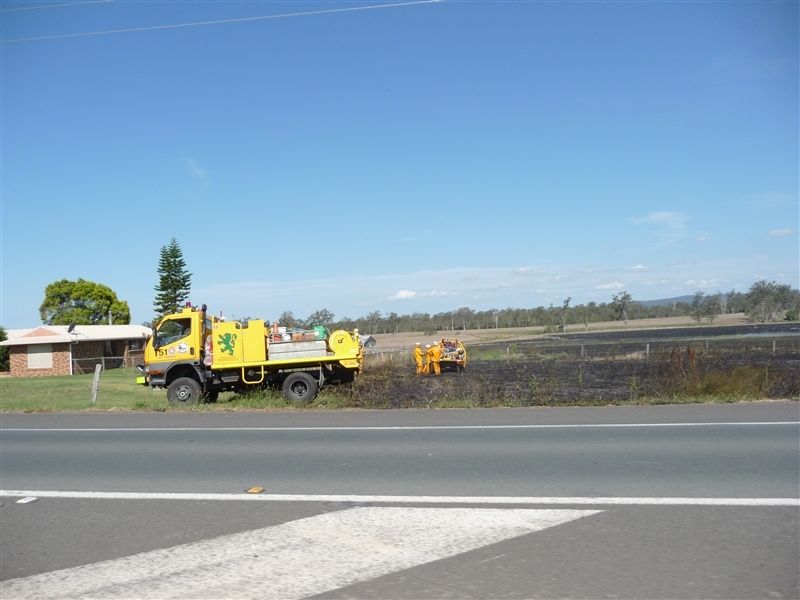 Lucky the rural fire brigade was able to bring it all under control before it reached the fuel stop a 100 metres up the road.